Part pumpkin, part supernatural being, it’s Sam, the enforcer of the rules of Halloween. 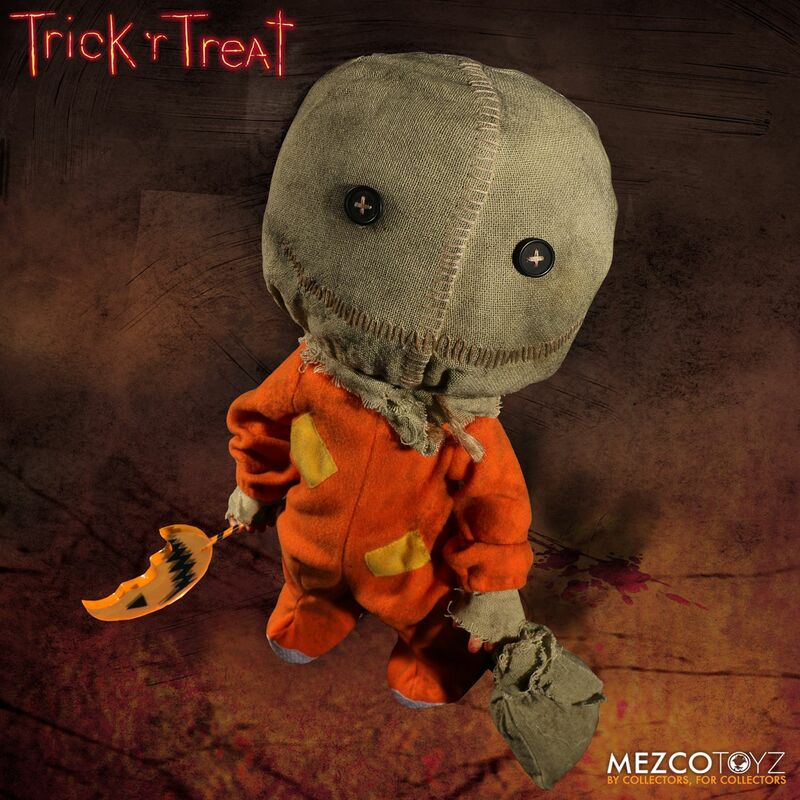 Straight from the cult status film Trick ‘r Treat, Sam shows no mercy to those who disrespect his holiday. 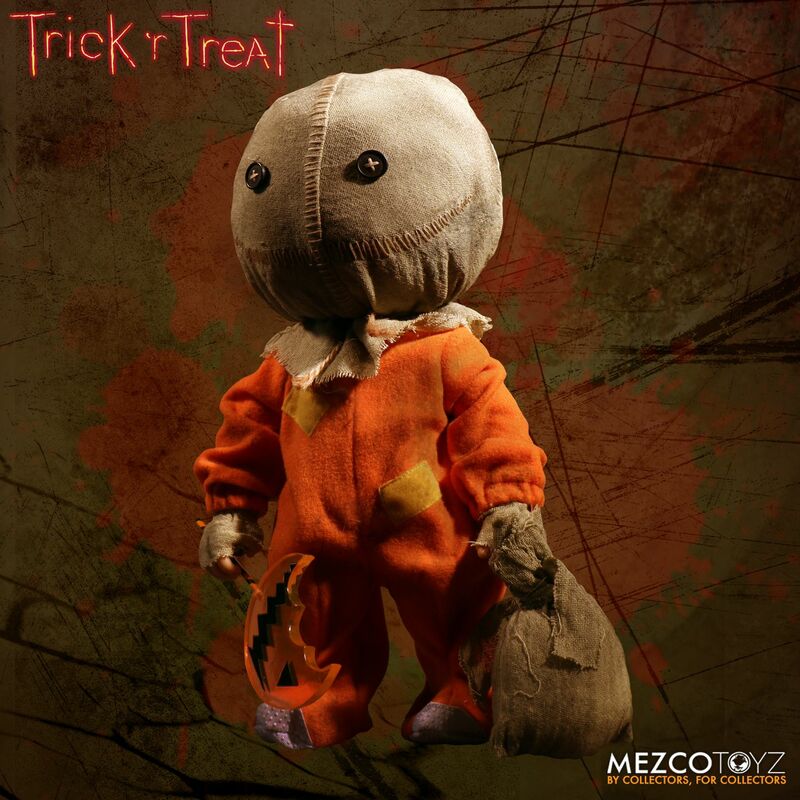 He may look child-like and dressed for trick-or-treating, but Sam is the personification of Halloween itself. Standing an impressive 15 inches tall, Sam comes complete with his infamous and mysterious sack as well as his deadly oversized translucent lollipop. 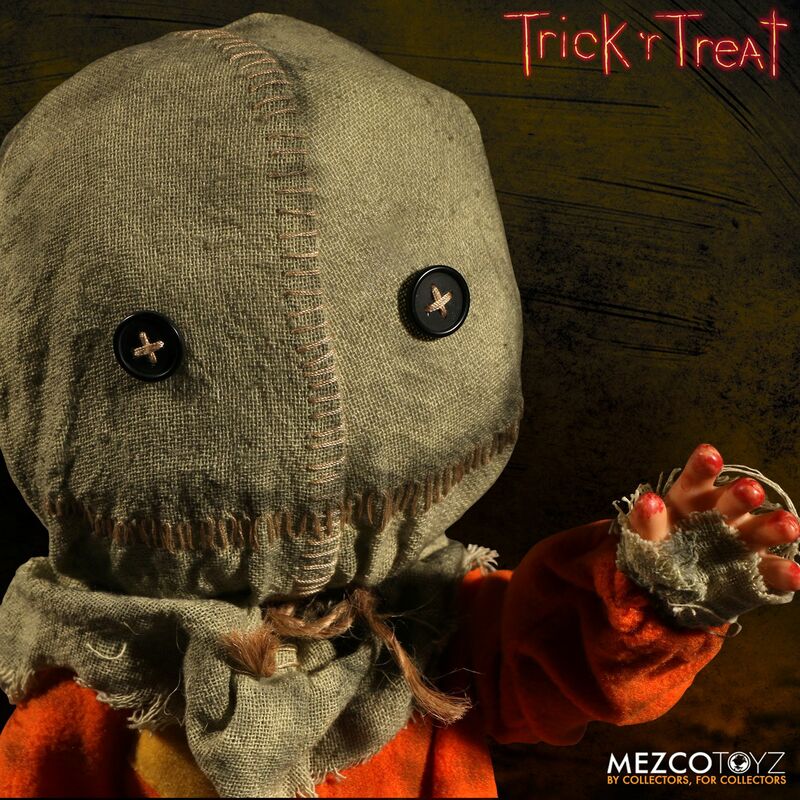 Remove his film accurate hood mask to behold his twisted demonic visage. His tattered orange footie pajamas complete the outfit. Sam features over 9 points of articulation, and comes packaged in a specially die-cut window box perfect for display. 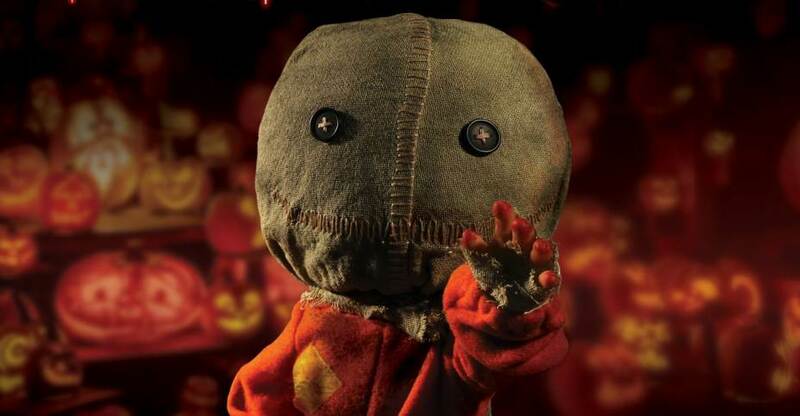 Just remember, he can watch you from inside the box, so don’t blow out your pumpkin until midnight. Look for Sam to creep into stores in Sept-Nov 2017. 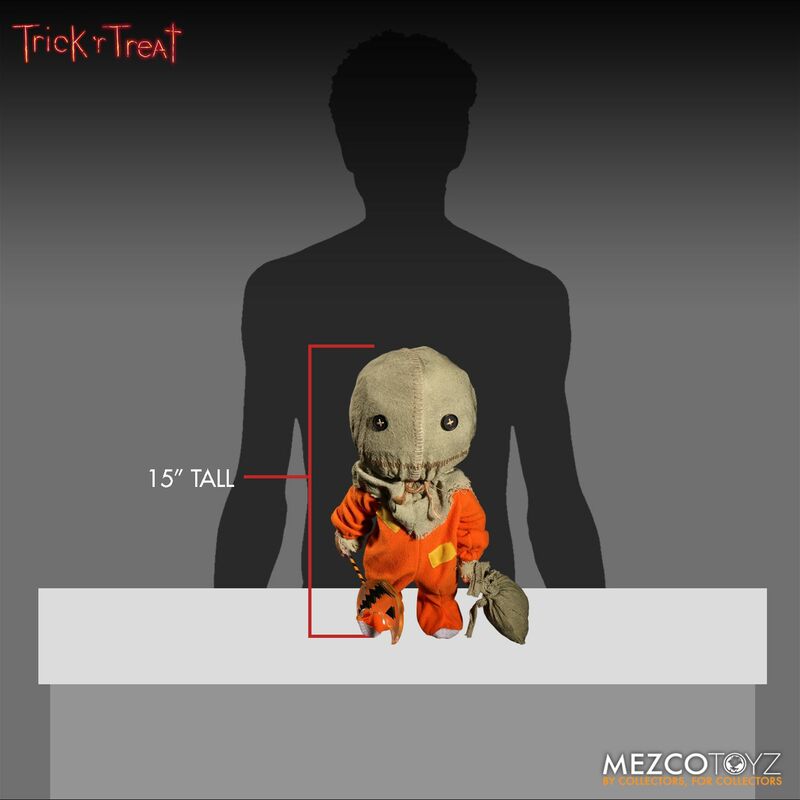 The Mega Scale Trick ‘r Treat Sam is priced at $90. You can pre-order the figure by Clicking Here. See all of the new photos after the jump. They should have just made him a little bigger and he would have been screen accurate.